Grown at 1500m above sea level, this Taiwanese tea has notes of honeydew, kiwi, and tropical fruit. 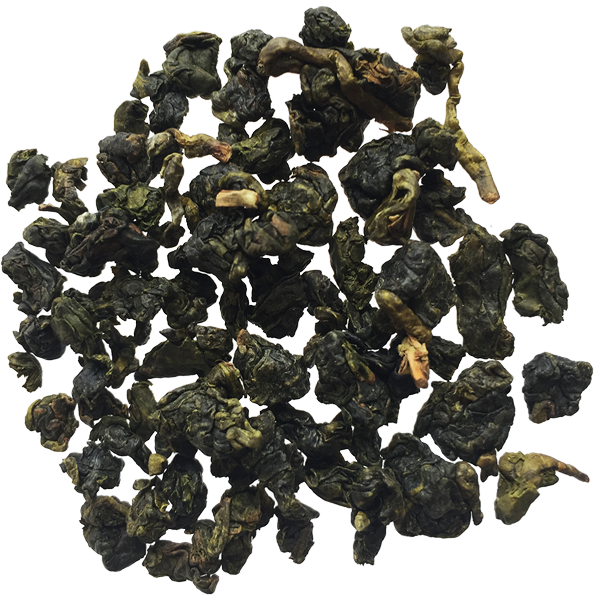 Taiwanese oolong, tied green tea leaves. At elevation tea leaves grow more slowly, therefore, these producing areas are harvested twice a year - Spring and Winter. The pluck is comprised of the complete stem end of the branch with 3 or 4 leaves attached. You can tell the quality of the harvest by the fullness of the leaves and stems, after they’ve unfurled. 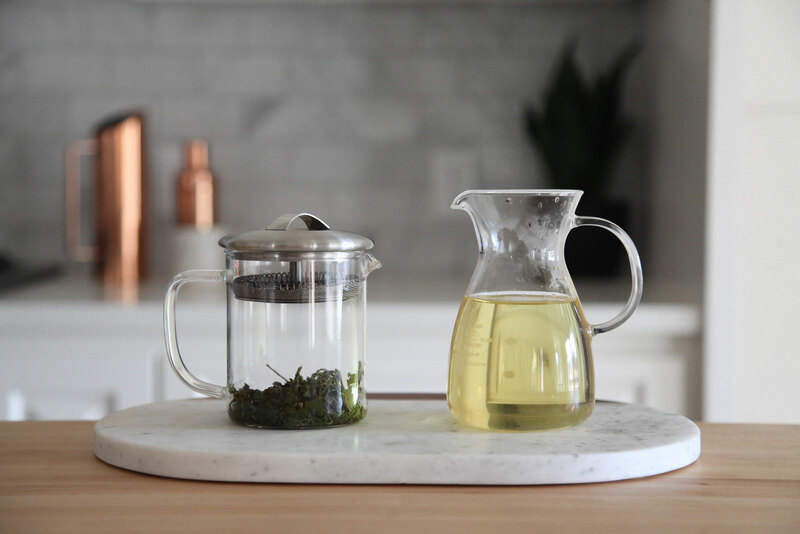 This tea will continue to delight, and can be re-steeped 4–5 times. High Mountain Oolong in action.